The Blue Mountains Botanic Garden, Mount Tomah, will celebrate the magnificent state floral emblem and the change of season with a colourful spring program of waratahs and walks. 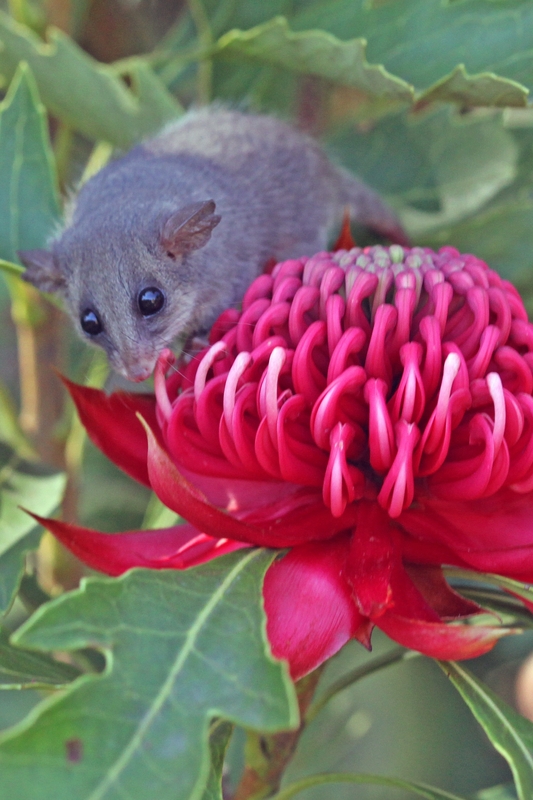 Wild About Waratahs Festival (at visitor centre and garden, 9.30am to 5pm daily, September 21-29): The 12th annual festival celebrates the NSW state floral emblem and inspires a love of waratahs in the wild. This year’s program includes the state-wide waratah bloom competition and display of prize waratah blooms; National Parks & Wildlife Service guided waratahs in the wild walk; local waratah farm open day; Fiona Lumsden’s botanical illustration workshop; artwork and plant sales. Free entry. Waratah prize blooms display and book launch (at visitor centre, 10am, September 21): Follow the clues in the garden to find one of 30 copies of Elizabeth Gilbert’s new novel The Signature of All Things. Then enjoy the winning waratah blooms on show in the visitor centre. Free. National Parks Discovery Wild Waratah Walk (Pierce’s Pass, 10.15am-1pm, September 25): This easy-medium grade walk will take you into Pierce’s Pass in the Blue Mountains National Park to see waratahs in the wild. Join a National Parks Discovery Ranger to find out about this wild national park and wonderful waratahs in bloom. Cost: $15. Bookings essential: (02) 9231 8182, email foundation.friends@rbgsyd.nsw.gov.au or book online http://www.rbgsyd.nsw.gov.au/tomah. Waratah Wander (10.30am-11.30am, September 26): Join the Blue Mountains Botanic Garden horticulturist on a guided walk discovering the magnificent waratahs on display at the garden. Cost: $10. Bookings essential: (02) 9231 8182, email foundation.friends@rbgsyd.nsw.gov.au or book online http://www.rbgsyd.nsw.gov.au/tomah. Waratah Creation Story – Aboriginal Heritage Tour (11am-12.30pm, September 27): Join Aboriginal horticulturist Brenden Moore on a 1.5 hour botanic journey through the garden exploring indigenous uses of plants for food, medicine and tools. 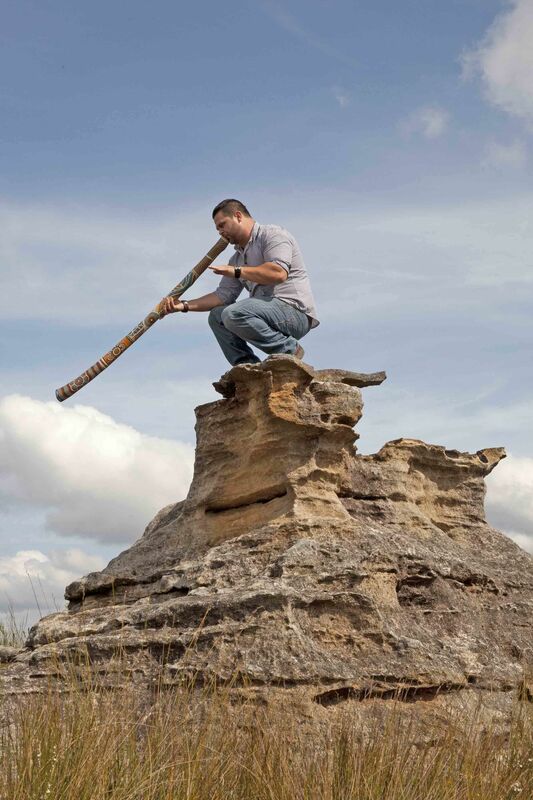 He will talk about Aboriginal waratah creation stories and give a didgeridoo performance. Cost: $36.50, concessions for children/students. Bookings essential: (02) 9231 8182, email foundation.friends@rbgsyd.nsw.gov.au or book online http://www.rbgsyd.nsw.gov.au/tomah. Gadara Wildflowers Farm Open Day, 3401 Bells Line of Rd, Berambing (10.30am-3pm, September 28): This plantation has about 1000 waratah plants including the rare white waratah. Access to the plantation is by a fairly steep rough track (unsuitable for people who are disabled). Cut blooms for sale. Cost: gold coin donation. Details: hosts Frank and Ros Allatt (02) 4567 2093. Waratahs – An art workshop with Fiona Lumsden (10am-3pm, September 29): Join artist Fiona Lumsden to learn tips on how to draw and paint the beautiful NSW waratah flower, Telopea speciosissima. Explore less complex waratah elements including the elegant seed pods and leaves and other easy-to-draw species. Suitable for beginner to advanced. Cost: $95, includes morning/afternoon tea and materials list (take own lunch). Bookings essential: (02) 9231 8182, email foundation.friends@rbgsyd.nsw.gov.au or book online http://www.rbgsyd.nsw.gov.au/tomah. Blue Mountains Festival of Walking – Tomah Spur Wilderness Walk (10am-5pm, October 9 & 12): Join the Wilderness Walk to Tomah Spur led by a specialist guide with detailed knowledge of Blue Mountains plants and wildlife. Tomah Spur is on conservation land owned by the garden and contains four different environments – rainforest, eucalypt woodland, spectacular heath and wind-sculpted sandstone. You will travel through a carpet of ferns, moss-laden rocks and lush green rainforest with towering trees before emerging onto a rock outcrop with spectacular views of the Blue Mountains. Cost: $80 includes morning tea on arrival. Bookings essential: (02) 9231 8182, email foundation.friends@rbgsyd.nsw.gov.au or book online www.rbgsyd.nsw.gov.au/tomah. Join Aboriginal horticulturist Brenden Moore on a 1.5 hour botanic journey through the garden exploring indigenous uses for plants for food, medicine and tools. Includes didgeridoo performance. Cost: $36.50, concessions for children/students. Bookings essential: (02) 9231 8182, email foundation.friends@rbgsyd.nsw.gov.au or book online www.rbgsyd.nsw.gov.au/tomah. Sitting on a basalt peak 1000m above sea level in the World Heritage-listed Greater Blue Mountains, the garden is home to thousands of species of cool climate and southern hemisphere plants. As well as the many beautiful landscaped gardens and rainforest walks the Blue Mountains Botanic Garden runs events and workshops for all ages to inspire a love for plants. Entry to the Blue Mountains Botanic Garden, Bells Line of Rd, Mount Tomah, is free. General garden details: (02) 4567 3000 or email tomah@rbgsyd.nsw.gov.au. Find the garden on Facesbook or go to www.rbgsyd.nsw.gov.au/tomah.